New design! 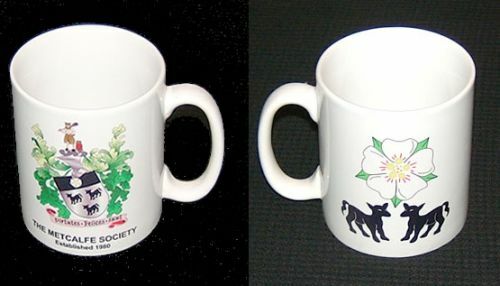 Sturdy, standard size mug with the new Metcalfe Society coat of arms printed on one side and the Yorkshire Rose/2 Calves printed on the other. Dish-washer safe. Please note that each mug is individually packaged in moulded styrofoam specifically designed for sending through the mail.